We are delighted to announce that the Bristol-born ‘Love Food Festival’ is continuing to strengthen its relationship with the National Trust by launching a Love Food Festival at a second National Trust property, Newark Park. The inaugural festival at the site will take place on Sunday, June 24th between 10am and 4pm. Set in beautiful Gloucestershire countryside and with breathtaking scenery, this former Tudor hunting lodge offers a highly quirky and eclectic mix of architecture, interior and gardens which reflect its 450 year history. Walk through the enchanting woodland and wander down to the summer house and lake, admire the former owner’s unusual taste and homely touches, picnic out in the meadow watching the sheep, cows and magnificent peacocks, and fill your bellies and bags full of a gorgeous array of local Gloucestershire and West Country produce and some of the best Street Food stalls outside of London, brought to you by Love Food Festival. With over 30 stalls full of everything from meat and herbs to bread and vinegars the market will provide everything you need for your weekly staples. Hot food stalls will also be on hand to serve up some lip-smackingly good pizzas, crepes, jerk chicken, whitebait and mackerel baps and much more, and Love Food’s relaxed and friendly picnic area out on the meadow of Newark Park will provide the perfect place to sit, relax and enjoy the music and countryside. 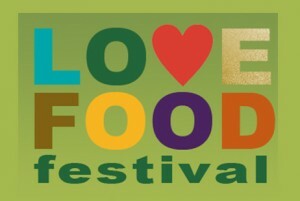 As always children will be well catered for, with Love Food providing a topical Olympic Games-inspired day of fun. Taking advantage of the space, we will be putting on a series of games for all ages to take part in as well as combining some of the old school classics such as the egg and spoon and potato sack race. Arts and crafts and other activities will also be provided as well as a giant chess board and croquet on the lawn of the house. It is not surprising then that given the National Trust’s renowned reputation for protecting our heritage and countryside and a stockpile of properties which make for a great day out, along with Love Food Festival’s famed children’s activities, laidback atmosphere and ethically sourced street food and markets, the two organisations’ relationship is continuing to grow. After all, it is the perfect blueprint for a great day out the whole family can enjoy.